Northern Ireland Screen intends to use Lottery Funds provided through the Arts Council of Northern Ireland and BFI Network to support the production of Short Film. Encourage Northern Ireland resident producers to make a significant contribution to developing talent within the local industry. Develop Northern Ireland resident creative talent (writer, director, producer teams) who intend to work professionally in factual or fiction genres. By offering structured, merit based, opportunities Northern Ireland Screen intends to develop new and emerging writing, directing and producing talent to the point that it is of interest to the wider film, television and digital content industry. 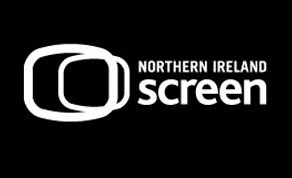 Northern Ireland Screen will organise a minimum of two and a maximum of three application calls in 2018/19. The current call closes for applications on Friday 26th October 2018. Northern Ireland Screen strongly encourages applicants that applied in to the 1st Short Film call in 2018-19 and were rejected not to re-apply with the same project unless the script has substantially changed. For full guidelines and FAQs on the latest Short Film Call, including application information, please click here.